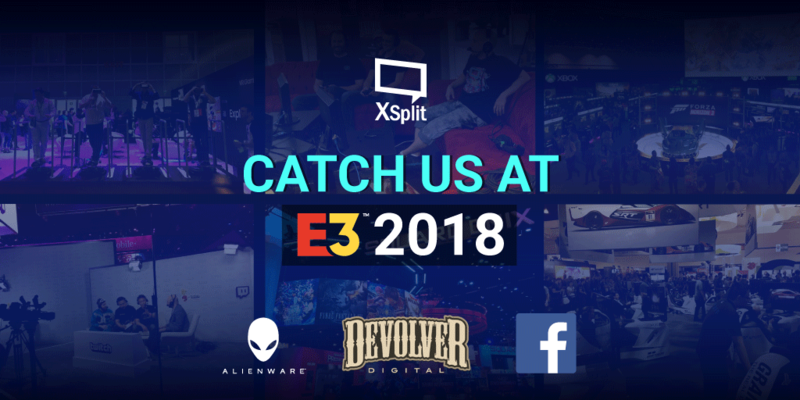 XSplit is heading to E3 and we’re all over the place! Blog > XSplit is heading to E3 and we’re all over the place! This year’s E3 is shaping up to be an exciting one for us as we’re going to be all over the place! We will have a kiosk set up at the Facebook booth in E3 where we will be demoing all the new features we have built-in for XSplit Broadcaster 3.4! Stop by for a demo and we might just have some XSplit swag for you! We’re again working with our friends at Devolver Digital, producing their streaming stage live from the Devolver Parking Lot which will be streaming from Tuesday 12th June on Twitch and Steam! We had a lot of fun with them last year, which you can watch in the video below. Finally, we are the live stream partner for Alienware, helping them produce their streams across all of E3! Be sure to check out the Alienware Twitter channel for more info closer to the event! If you’re heading to E3, then be sure to drop by those areas. If not, we have you covered as we’re going to be posting periodic updates on our social channels for the entirety of the event so stay tuned!